With consumer concerns around farm animal welfare increasing [PDF], interest in products that carry the promise of better welfare is growing. A new survey by Technomic shows that supermarket industry decision-makers are motivated to stock products that promise better animal welfare, and are seeing the benefits of doing so through strong sales. 30% of supermarket decision makers are interested in stocking more products specifically describing humane treatment of animals. Over 70% of those stocking products with humane claims report that sales from these products have increased over the past three years. 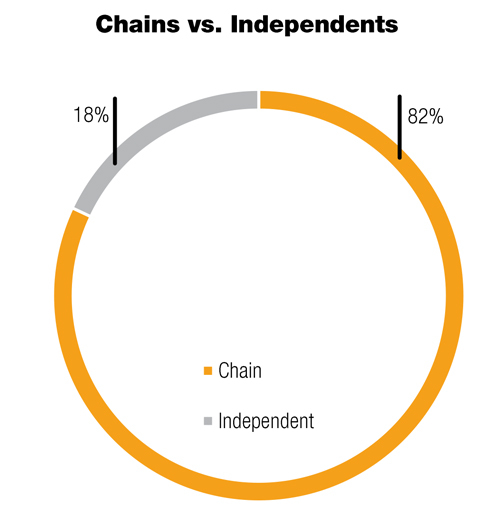 45% of those surveyed who reported stocking products with humane claims said they had done so for over two years, indicating that sales of these items have sustained. The survey also shows that retailers largely do not understand the differences between animal welfare claims—which are unverified and often undefined—and animal welfare certifications that are verified, meaning that they are backed by audits and robust standards. More than 70% of supermarket industry decision-makers believe they have a (very or somewhat) good understanding of the meaning of terms related to animal rearing. Those surveyed considered many unverified claims like “natural” and “hormone-free” to be strong animal welfare assurances, sometimes considering them more highly than verified welfare certification programs that set birth to slaughter standards for animals and send inspectors to farms, such as Certified Humane, Animal Welfare Approved and Global Animal Partnership (GAP). For example: 95% of supermarket industry decision-makers felt that “cage-free” was a strong animal welfare claim on chicken meat products, despite the fact that cages are not used to raise chickens for meat. Despite this confusion over label meanings, retailer interest in stocking higher welfare products seems to be mirroring consumers’ elevated awareness and desire for such products. A recent survey showed that about three-quarters of consumers are studying labels related to animal welfare more than they were just five years earlier, looking for reassurance about how farm animals were treated. Yet two-thirds of those surveyed also thought that claims like “free range” and “cage-free” guaranteed better treatment for farm animals than they actually do. The projected path for animal welfare-related products could follow that of organic products, with increasing awareness creating a strong burst of consumer demand, pushing these products to the forefront of retailer and supplier plans. Yet retailers must be educated on the differences between unverified and loosely defined claims and the verified certifications on the market, in order to avoid losing concerned consumers’ trust. Consumers can also play a role by learning more about the labels on the products they buy and requesting verified products at stores. Data and insights captured by Technomic were developed through two separate, comprehensive approaches. 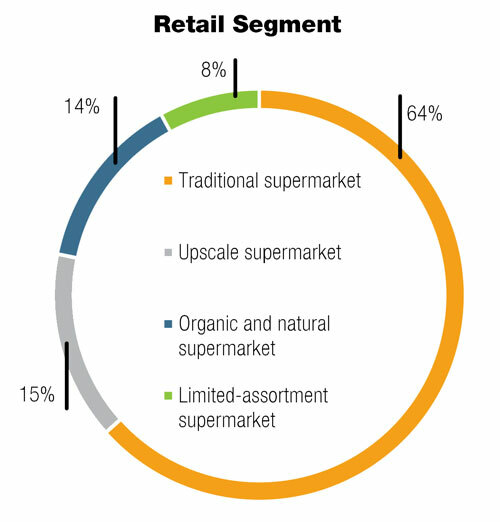 A survey of 300 supermarket decision makers was conducted (with 64% of surveys completed by traditional supermarket executives; the remainder were split between upscale markets, organic & natural markets, and limited assortment markets) and 40 qualitative interviews were conducted by Technomic consultants with grocery executives across senior leadership, procurement, sustainability/CSR and marketing functions. Interviews were also conducted with a smaller number of product manufacturers. All interviews covered a wide range of topics including decision criteria, demand, fresh meat requirements, certification awareness and impact, profitability measures and future expectations. Research was national in its coverage with a representative sample. The majority of grocers surveyed are stocking products that carry one or more animal welfare statements. There is high interest (30%) in stocking more products bearing the term “humanely raised” and more than 25% are considering stocking welfare certifications. Between 40 and 50% of retailers report already stocking products with welfare certifications, compared to 60-70% stocking the more established organic and grass-fed products and 71% stocking “all-natural” products. With interest in improved animal welfare on the rise, welfare certified products could be one to two years away from reaching the level of organic and grass-fed products in the market. Over 70% of supermarkets stocking products with claims about improved animal welfare report that sales from these products have increased over the past three years. This level of reported success is similar to that of “all-natural” and “organic”. Despite claiming to understand the terms, a further question about the strength of specific animal-related labels revealed widespread overestimation of the impact of terms. Claims in red in the chart above are either irrelevant to animal welfare in general or with regard to that specific product, or are not defined or regulated in any way. Certifications in green set extensive standards and send auditors to farms to verify that standards are met. Many undefined, unverified claims were deemed as meaningful or even more meaningful than verified welfare certifications that set birth to slaughter standards for animals, like Certified Humane, Animal Welfare Approved and Global Animal Partnership. As consumers are increasingly educated about terms and definitions, and suppliers more effectively get their certifications into the public sphere, it is only a matter of time before demand escalation occurs. Some companies are taking note of this clear market opportunity. Applegate, Niman Ranch, Pete and Gerry’s, Whole Foods Market, Safeway and Aldi are just a few of the brands and retailers that have committed to welfare certified sourcing. With more than 25% of the supermarket decision makers in this survey stating that they’re considering stocking more welfare certified products, these products could be on track to reach the level of organic and grass-fed in the market. One determining factor in the success of the higher welfare market will be the degree to which brands work to educate retailers on the value of their welfare certification, to what extent retailers translate that value to ethically-minded consumers, and how readily consumers demand more products that match their concern for animal welfare.